This month we continue our Star Wars Movie Retrospective with Episode 6: "Return Of The Jedi". 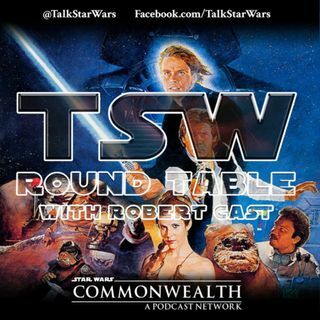 Robert’s co-host this episode is Rob-Yees from the Generation X-Wing Podcast. The two Robs are joined by Corey Riley and Matthew Gilbert. The boys have a lot of fun reminiscing and talking about their favourite moments from the original trilogy’s finale!